Gordon "Go-Go" Halloran has been two years sober when he falls off the wagon, again. He also falls off his barstool after the drink goes straight to his head. It's all the bartender needs to throw him out. The youngest of three brothers, Gordon is the disappointment. His two brothers are decidedly different. Tim Halloran is a state attorney. Sean Halloran is smart and successful. And Gordon, Go-Go, is so certain to fail that his childhood room is the only one that remains intact, a shrine to his troubled youth and a tomb that he can return to when things fall apart in his life. And they will fall apart. Go-Go is also the most likable character in The Most Dangerous Thing by Laura Lippman, which is a shame given that Go-Go never gets a chance to live past the prologue. His story ends abruptly so that everyone else's story can begin. The Most Dangerous Thing is a drawn out psychological drama. When most people pick up a book by Lippman, they anticipate a mystery or thriller that will keep them turning pages in suspense. The Most Dangerous Thing does not. It plods along, drifting deeper and deeper into the psychology of nearly dozen players, all of whom are tied together to protect an atrocity. The irony of the story, however, is that they are all protecting lies that were spun on top of lies. But their resolve to protect each other, or at least those closest to them (and if not, themselves) has dramatic consequences that shape their lives. Like dominoes, Lippman tips over their fabricated realities. To get through some of it, it takes considerable effort to place trust in Lippman that she will resolve and make right everything that leads up to the book's conclusion. Not everyone will have the patience to make it, and many people will question where the author takes it. And yet, Lippman can only be called masterful in her ability to make the mundane a deep study into the people who are her characters. The five-pointed star in the fictitious town of Dickeyville. As children, the three brothers and two girls — Mickey Wickham and Gwen Robison — made up a tight-knit group, growing up in the late 1970s. They start out their five-pointed friendship as thick as thieves, sneaking off and exploring the woods behind their rustic neighborhood. It's there they stumble into a mysterious and reclusive homeless man, who lives all alone in the depths of a thickly wooded park. For the favor of food, clothes, and other sundries, "Chicken George" will play a song on his steel guitar and sing rough and awful songs. Most days, he didn't even know the words. For the kids, he was their secret, a pact. Until one night, everything would change. The events that occur that night frame up the next three decades of their lives. Not just the five children, but also their parents as well. Everyone plays a role. Although Robison can be generally considered the protagonist, Lippman tells the story from almost every character's point of view, including detailed sketches on how they interact with their world, giving readers a deep look into the decisions they make. This adds complexity and, at times, confusion to the story. In fact, there is nothing more confusing than Lippman's conclusion. She stumbles upon a great theme, but it leaves you wondering whether she even knows what she stumbled upon. Most of our lives are constructed like houses of cards — lies, half-truths, and secrets told by ourselves or others — that dictate who we think we are and the decisions we make. Remove even one and everything changes; things tumble down. It seems odd, almost, that a former reporter, including twelve years at The Sun (Baltimore), and best known for her accidental private investigator stories revolving around Tess Monaghan, would miss it. Or, maybe it is because of those experiences that she leaves this story in a foggy swirl, like many of those she covered years ago. 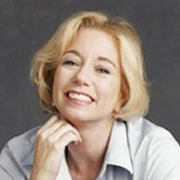 Laura Lippman's The Most Dangerous Thing Itches At 2.8 On The Liquid Hip Richter Scale. Although Lippman's approach to third-person point of view is sometimes sloppy, leaking in the author's voice as opposed to the person she wants us to see, there is something quietly disturbing about the book. The characters are insanely well fleshed out, even if most aren't very likable. She also has flashes of brilliance in her prose, pointing out that "allowing one's self to be forgiven is just as hard as forgiving ... Because to be forgiven, one first has to admit to being at fault." In those instances, along with the detailed lives of so many, the book becomes a cut above average to make it here. And that is despite its surprisingly aloof outcome. Then again, in hoping to cope with what had been done, that makes the story even more real and anti-climatic. 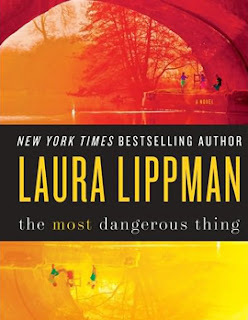 The Most Dangerous Thing by Laura Lippman is available at Barnes & Noble. The book can be ordered from Amazon. You can also find The Most Dangerous Thing on iBooks or download the audiobook from iTunes. Linda Emond provides an excellent read, even though her steady and soothing voice can sometimes cause the story to fade into the background.